Earlier this year, Fruits de Mer Records released Whatever Happened To The Soft Hearted Scientists, a 2-LP + 7″ compilation of songs from the band’s four CDs, songs from their now released new album, False Lights, some previously unreleased demos, and a title track exclusive to the compilation. I had never heard of the band before but was instantly smitten by the magical, and, sometimes mystical blend of Psychedelia, Folk-Psych, Pop-Psych, traditional influences, Progressive Rock, and so much more that makes the music accessible to all, but ultimately difficult to adequately describe. Sure enough, the dozen songs on Uncanny Tales From The Everyday Undergrowth transition seamlessly, and one would never know they were actually taken from three different releases. It’s a psychedelically pastoral set of songs. The album opens with the song that has become one of my favorites in the entire Soft Hearted Scientists catalog – Mount Palomar. If I wanted to turn somebody on to the band and could only play one song, this would be it. It’s acoustic driven, but with a full band backing, including rhythm section, organ and freaky electronics. And when the chorus kicks in it’s like an acoustic-orchestral explosion with a joyously uplifting feel that borders on the spiritual. Its part 60s Pop-Folk-Psych, with beautiful harmonies, dashes of Progressive Rock, and wee bits of playful experimentalism. This acoustic lead, yet full band sound, utilizing various instruments and sounds characterizes much of the album. The melodies, instrumentation and arrangements will hook you on the first listen, but there’s so much going on that attentive listeners will be rewarded on multiple listens. 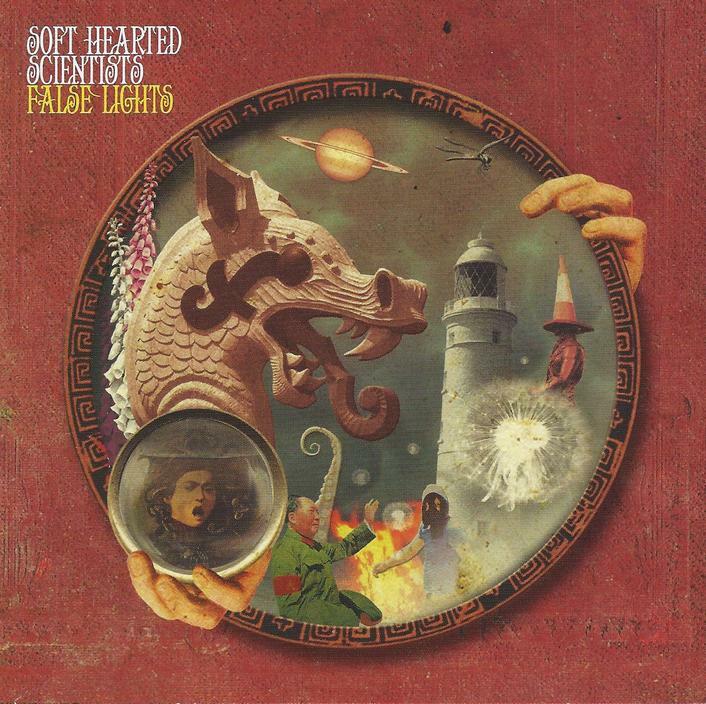 Along with the enchanting music, Nathan Hall’s lyrics are crucial to what Soft Hearted Scientists are about. Topics can range from bucolic, to thoughtful, to wildly surreal, and just pure fun. Diving Bell is a musing toe-tapper that includes a spoken word segment describing a dream, part of which is about Billy Ray Cyrus sitting in Satan’s waiting room and being forced to play Achy Breaky Heart surrounded by demons with flaming mullets, all retribution for the misery he inflicted on humanity with that horrible song and boot scootin’ phenomenon. Pretty wild, huh? Demons appear again in the form of the Wendigo. I love the combination of guitar melody that sounds like a Morricone soundtrack, oddball warbling synths, and multi-part vocals. I like the strange but seductive ooh-wee-ooh synths and acoustic guitars on Brother Sister. 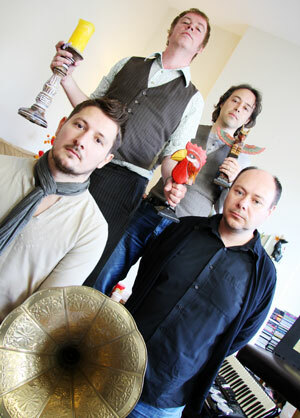 The Yongy Bongy Bo is another highlight of the set, with its blend of Pagan-Folk and Celtic, and the lyrics based on a poem by Edward Lear. Isabella (Keep Riding The Road To The Sea) is another standout, sounding like a Folk-Prog take on a gypsy influenced show tune. But then halfway through the song the band shift gears and settle into that mixture of rhythmic toe tapping, traditional pub gathering and Pop-Folk-Psych that Soft Hearted Scientists are so adept at. Dig that banjo. And Midnight Mutinies is a stunning blend of Folk-Prog and spacey freakiness. The A470 Song opens the album and combines radio wave electronics, luscious picking acoustic guitars, and plucked strings, and the backing vocals have a thrumming drone quality, an intriguing marriage of contrasting elements that is a common thread throughout all Soft Hearted Scientists albums. This leads into I Wanted You, which despite its delightfully bouncy feel good groove, tells of love that wasn’t meant to be. Light Years To Nothing features more of Soft Hearted Scientists brand of Pop-Folk-Psych, with the addition of more spacey electronics and atmospherics. Scarecrow Smile is precisely what the sub-title says. In the CD notes Nathan Hall humorously describes how he was pestered into releasing this set by neglected songs, complaining that they deserved to be heard. 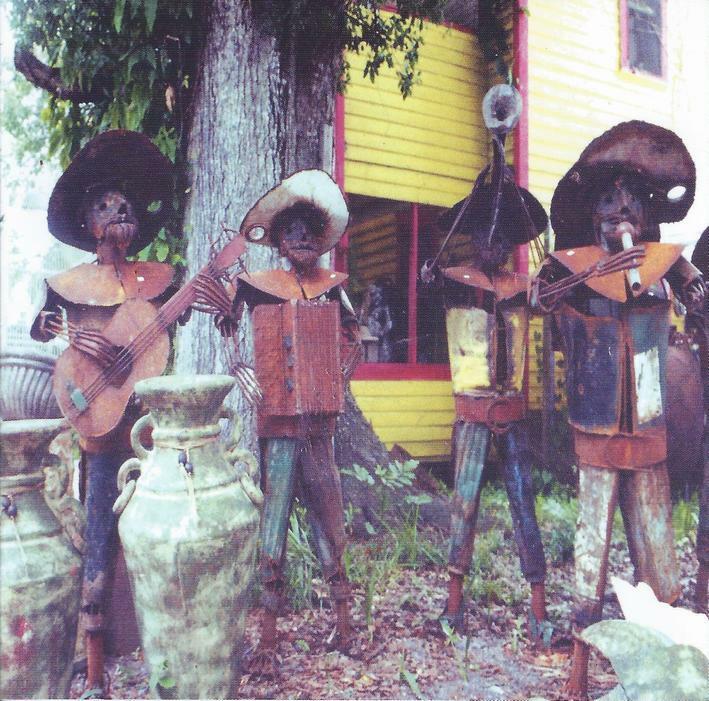 These are recordings mostly dating from 2001-2005; lo-fi songs intended to showcase a side of the group that differs from the multi-layered studio recordings. 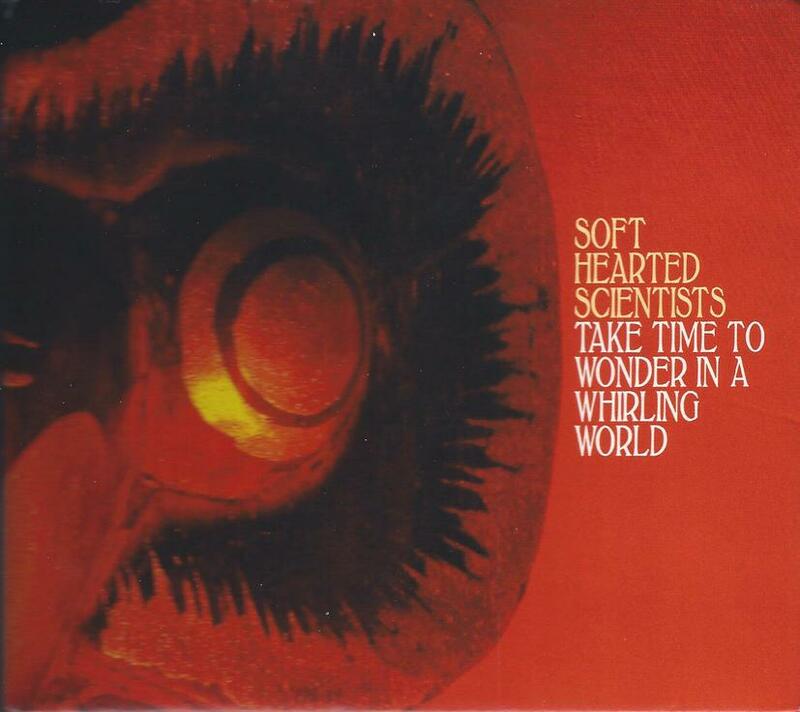 To be sure, Soft Hearted Scientists studio albums are beautifully produced and arranged. But as the 16 songs on Scarecrow Smile demonstrate, the lo-fi home recordings in no way detract from the band’s charm. The country-like bounce of Effervesce feels like something from The Beatles’ Let It Be. Simple keyboards are put to good use on songs like Man Overboard!, Twilight Eyes, The Impossible, and Return Of The Black Dahlia. I’m a fan of the 1980s homemade music cassette culture scene and have been captivated by some pretty raw stuff, so hearing simplicity manifest itself in such well-crafted songs is a pleasure. Garden Song is one of the most dreamily somber songs I’ve heard from Soft Hearted Scientists, with its vocal harmonies, acoustic guitar, piano, and eerie keyboards. Evil Eye achieves a delicate balance between frantic rushing and Psychedelic drift. There’s plenty of experimentation too as evidenced by songs like Scarecrow Smile and Totem Pole Blues, with its alien electronics rising and falling to lulling acoustic guitars. And Manta Ray on Main Street sounds like a spaced out experimental Simon & Garfunkel. 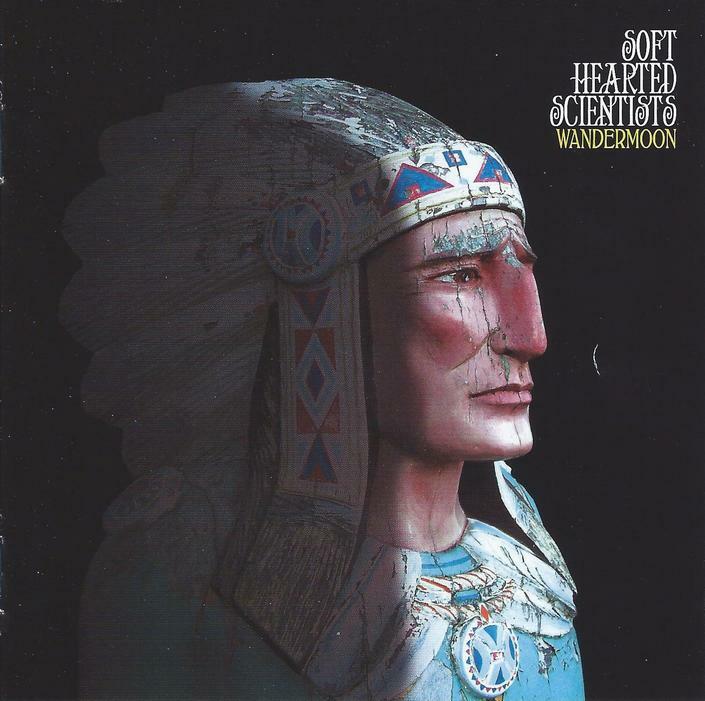 Wandermoon is the one album that includes track-by-track notes on the band’s web site, providing the listener with a bit of insight into Hall’s lyrics. It’s also a relatively short album, with six songs at just over 30 minutes. Mountain Delight is a beauty of a song about several trips Hall took to Bethesda in North Wales. “Oh brother there’s a world to see. It’s overflowing in its mystery. And when I gaze into infinity. I melt away. Life is stranger than a dragonfly. Constellations floating in the night. I sing this song to set these miracles… to memory”. The song is almost Prog style epic in its multiple thematic transitions, despite being six minutes long. The Trees Don’t Seem To Know That Its September is a lament for the end of summer, with whimsical music that conjures up images of an old variety show performance. Tornadoes In Birmingham is what Hall describes as an “ecological hallucinatory ballad”, a term I kept repeating over and over in my head because the phrase sounds so cool. I like the music’s crossover between acoustic pop and dreamy vibe . Arrival Song is about going off on holiday to sort one’s head out, communicated through gracefully fanciful music. Road To Rhayader consists of a hypnotic melody and vocals, interweaving acoustic and electric guitars and marching rhythmic pace, and all-around beautiful instrumental arrangements. Westward Leading opens with trademark Soft Hearted Scientists acoustic guitar and vocals, plus a cool sci-fi synth line, but quickly launches into a bouncy, seductively melodic Pop-Psych song. There are lots of fun effects, and I love the keyboards, which range from organ, to synths, to classic Prog style. And at 10+ minutes the music switches gears frequently, from the opening song, to cosmic Prog instrumental interludes, and more. I love the multi-part vocals backed by hypnotic organ in the last minute. Yeah, I think these guys could do interesting things with a 20 minute song. If this is a darker album you sure can’t tell from the music. Seeing conjures up images of a lively rural village festival. There’s a bit of George Harrison in the guitar, plus some trippy licks from a second guitar, both of which sound great alongside the banjo. The brief Seeing Further serves as a deep space synth dominated coda to the song. I love the Folk-Prog, haunting Psychedelia, traditional influences and electronic effects that come together so strangely but nicely on the title track. Golgotha has a lulling dreamy feel, with a body swaying rhythmic pulse and flittering space electronics, and a finale that brings to mind some of the more lysergic moments from The Beatles’ Magical Mystery Tour. I like the combination of grooving jazzy-tribal percussion and catchy guitar and piano melody on Song From The River. But listen to the lyrics, talking about Starbucks in the tomb of Tutankhamun, Tesco stores in the sphinx, and McDonalds inside every pyramid. Now those are dark thoughts! Other highlights include Seaside Sid and the Giant Squid, with its great groove and Mellotron-ish sounding melody line. Trees In The Wind is a mind-bending song with beautiful vocals and choral backing. “I felt my world was spinning too quickly. So Pegasus flew me away.” And then, “The Chinese army were riding on horseback. Charging at atom bomb clouds.” Monsters Of The Id combines a threatening tone with spirited music and a banquet of fun sounds and effects. Night Of The Hunter is one of my favorite songs on False Lights, largely due to the feel-good transition from trippy psych song to majestic Pop-Prog-Psych with killer melodic hooks. Panorama is similar, starting off as one of the most playful songs of the set, and ending as part Pop-Psych song and part effects laden experimentation. In fact, synths and electronics make their presence especially prominent throughout False Lights. 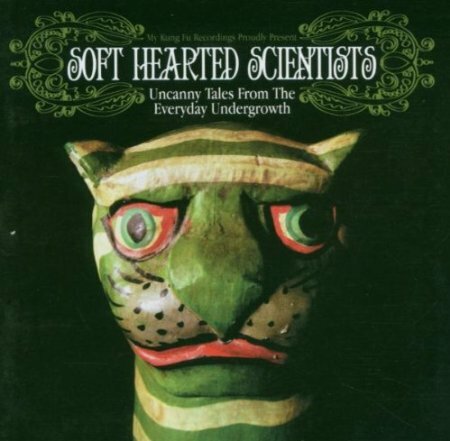 Throughout their catalog, Soft Hearted Scientists prove themselves to be masters at bringing together contrasting elements and making it all sound absolutely scrumptious. Theirs is a world where synths and spaced out electronic effects become soul mates with banjos. Maybe they should have called themselves Soft Hearted Alchemists? Soft Hearted Scientists would like to extend their gratitude to Fruits de Mer Records for all their support.